A study conducted by the Business and Professional Women’s Foundation found that 75% of the workforce will be dominated by the Millennial generation by the year 2025. This generation, currently ranging in age from middle school years to adulthood, will be filling an employment void left behind by retiring baby boomers. 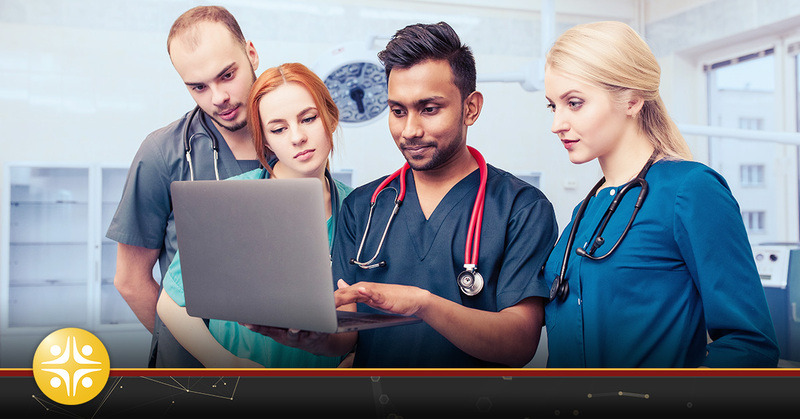 According to an article in Hospitals & Health Networks, healthcare employers will have to be technologically nimble or they will risk the chance of being irrelevant in the eyes of these promising medical practitioners. While focusing on the year 2025 might seem like a luxury to most medical administrators, attracting the first wave of the millennial generation will provide a distinct competitive advantage for the companies that are willing to embrace the potential of this unique and valuable demographic. No matter the age, physicians have the largest impact on the hospital’s bottom-line. Physicians and other medical practitioners affect key quality metrics for medical facilities. Vital metrics, such as infection, readmission, and mortality rates are all measures that physicians can influence. In order to protect the future of their medical firm, administrators should implement recruiting strategies with a goal of hiring physicians capable of improving these crucial analytics. With the first wave of physicians representing the millennial generation now entering the medical workforce, it makes sense for medical firms to start the recruiting process of these medical practitioners today. The millennial generation has been called selfish and lazy. While these are generalizations, there is one common characteristic of this generation that is both universal and undebatable. This generation is tech-savvy. A study by USC Annberg Center for Digital Future describes a term labeled as the “Millennial Rift”. This rift points to the distinct differences in online behavior and core values among millennials (ages 18-34) compared to other users, many of whom are only a few years older. Millennials, the survey found, report more willingness to allow access to their personal data or web behavior and a greater interest in cooperating with Internet businesses, as long as they receive tangible benefits in return. For this reason, employers and marketers alike are using social media profiles and mobile technology as a way to learn more about future employees and clients. One of the many tools that can assist in the recruitment of millennials is the use of social media. Research from an annual survey by the Center for the Digital Future revealed that millennials are more active on social networks compared to non-millennials. The survey also found that millennials regularly contact many more people through social networking than users over 35 do. The average number of people whom millennials regularly contact through social networking sites is 18, compared to only five for users over age 35. While social media should not be the anchor of the entire recruiting strategy, it should start to become more of an integral part of the entire recruitment campaign. While man’s best friend has always been the dog, the millennials best friend is the mobile phone. In a recent research report performed by ComScore, nearly one in five Millennials perform all of their web browsing, emailing, Google searching, social networking, and online news reading on a smartphone or tablet. In comparison, only 5 percent of 35-54 year-olds and 3 percent of those 55 years and older access the internet via mobile devices only. From a recruiting standpoint, one must “fish where the fish are”. In a study performed by Potentialpark, results indicated that 19% of job seekers said they currently use their mobile devices for career-related activities and 50% said they could imagine doing so. The ability to search for jobs and receive job alerts on their mobile devices was the two most popular requests by the job seekers participating in this survey. A great first step towards a long-term mobile recruitment strategy is for companies to implement a responsive design to their website. This means that the layout of the webpage will adjust to the screen size of the user. This flexibility allows for a better user experience to get around a website, whether you are on a smartphone, tablet, or desktop. The use of technology is only one spoke in the large wheel of recruiting medical professionals. When it comes to the millennial generation, technology certainly starts to play a larger role in the recruitment process. As with anything, technology can be your greatest ally or your largest enemy. This is why it is important to take the right steps in implementing technology into recruiting medical professionals. The individual mandate of the Affordable Care Act and the aging baby boomer population are creating an enormous strain on the healthcare workforce. Healthcare institutions that recognize and prepare for this impending shortage will create a distinct edge over the far less fortunate competitors. By developing a staffing strategy that uses the latest developments in technology, healthcare employers can certainly take a step forward in the long journey of the healthcare revolution. Discover how a partnership with MedSource Consultants can save your healthcare facility time, lower recruitment costs, and deliver more candidates. Click here to take the first step towards a customized healthcare staffing strategy.